Sourced from renewable materials, the Elementi paper cup range is made from paperboard that is certified as suitable for commercial composting, in compliance with EN13432 Din Certco Standard. With inner biopolymer coating, derived from products such as corn, to seal the Elemenyi Single Wall paper cup and hold the beverage. The Elementi single wall paper cup can be custom printed in up to 8 colours of environmentally-considerate water-based inks. 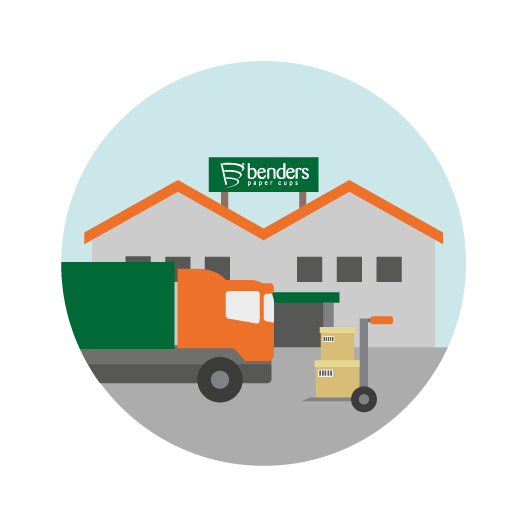 The base is printed with Benders’ traceability code so the Elementi single wall paper cup can be traced back throughout the manufacturing process, and subsequently to the forest it originated from. 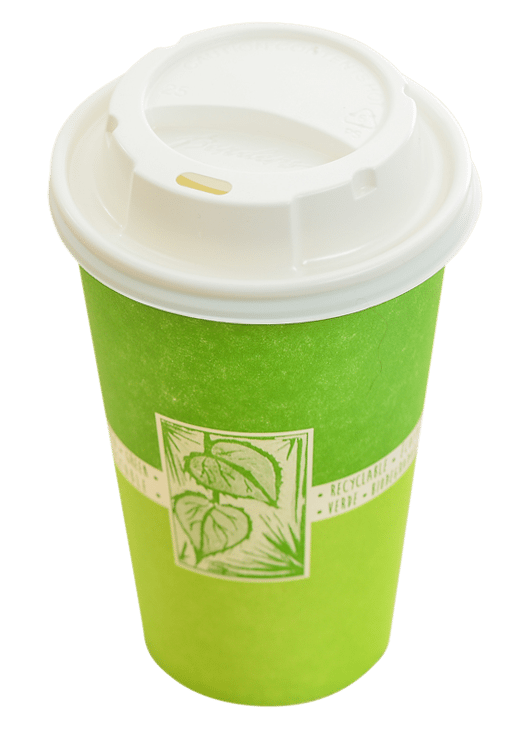 Paper cup lids are available for both sizes . Sensitive to the increasing environmental focus on environmentally friendly disposable products, the Elementi single wall paper cup offers that eco-friendly alternative to standard paper cups. 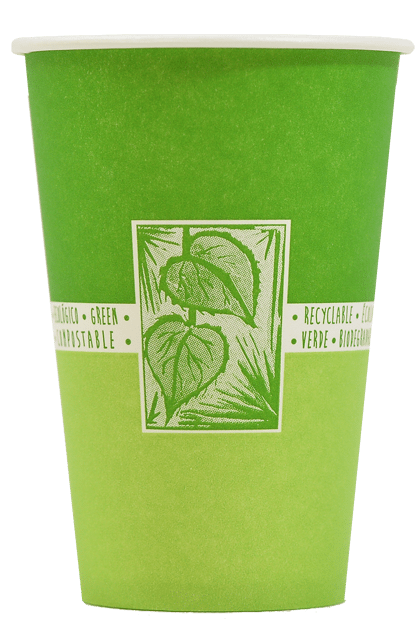 The Verdi stock design emphasises the environmental credentials of the Elementi single wall paper cups and encourages commercial composting. Eco-friendly biopolymer derived from renewable and 100% natural products such as corn. Made from PEFC accredited sustainably sources, accredited as suitable for commercial composting in compliance with EN13432 Din Certco Standard.